Although it’s hard to believe now, but when I was a young teenager I was a vegetarian for about four years. At the time, my mom was always asking my physicians to check my iron levels, as she was afraid that without meat I’d be lacking the iron I needed. At the time, I didn’t understand why iron was so important, but – as is always the case – my mom was right. Measuring iron for women is important because deficiency can be a serious issue! Additionally, iron is also critical to brain function. It is an important factor in the synthesis of neurotransmitters and myelin, which means that it helps you process thoughts and act on those thoughts. How do I know if I have iron deficiency anemia? There may be no symptoms of iron deficiency until iron deficiency anemia develops. Without enough oxygen getting around your body, the most common symptom of iron deficiency in healthy people is fatigue. Even though you’re getting enough sleep and in good shape, you could feel mentally or physically exhausted. In particular, you may get out of breath quickly when exercising or even when going up the stairs because your body is unable to maximize its oxygen uptake. In addition, you may see some other physical changes including extremely pale skin, mild weakness, and in severe cases heart palpitations, cold hands or feet, brittle nails, or fainting. Iron depletion can also lead to decreased cognitive functioning, making it hard for you to focus. You might also experience soreness in muscles beyond what is expected, because your body doesn’t have enough oxygen to recover. Women aged 20 to 49 have at the highest risk of iron deficiency. Studies have shown that five percent of this population have iron deficiency with anemia and eleven percent have deficiency without anemia. Eating foods that are low in iron, which can be true of vegetarian or vegan diets, can lead to insufficient iron levels. Some diseases, such as Crohn’s or Celiac disease, also prevent absorption of iron from food. In addition to iron deficiency due to diet, women are at a higher risk because the blood lost during heavy menstruation or childbirth. “Pre-menopausal women tend to be more iron-deficient compared to their male counterparts because they lose blood during menses,” says Dr. Jon Eisen, MD, an Internal Medicine Resident at Tufts Medical Center in Boston. “That blood loss may not be very significant but can cause iron-deficiency anemia since iron is a key component of hemoglobin production.” Uterine fibroids, which develop in about twenty to eighty percent of all women before they reach age 50, can also cause low iron levels. What if I do if I’m not getting enough iron? If you think you might have iron deficiency, the best thing to do is talk to your doctor. They will want to check your hemoglobin and iron levels. For women over age 18, normal hemoglobin is usually between 12.1 to 15.1 g/dl. If your hemoglobin is low, ask your doctor what solution is best for you. The easiest way to prevent iron deficiency is by controlling your diet. “The body does a good job of adapting to our iron levels by absorbing more or less of the iron from foods,” says Blohm. “Iron from animal (Heme iron) sources are more readily absorbed than iron from plant (non-heme) sources. However, if heme sources are limited or nonexistent in your food intake, a well-planned diet can still meet the recommended amount of iron.” Some of the most iron-rich foods include beef or chicken liver (like your Bubby’s chopped liver! ), mollusks (like clams or mussles), and oysters. Cooked beef, turkey, chicken and fish are all excellent sources of iron. For vegetarians, some cereals, such as Grape Nuts and Total, are fortified with iron. Beans, including lentils, kidney beans, and even the chickpeas in your hummus, are also high in iron. 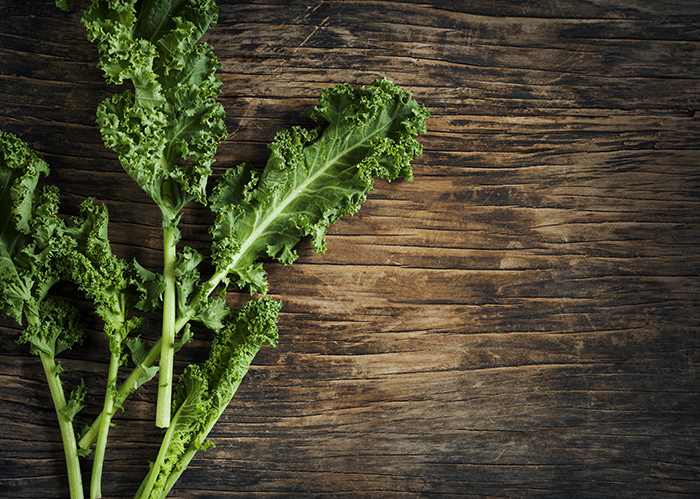 Iron can also come from leafy greens like kale and spinach, broccoli, or even dried peaches. If you aren’t able to get enough iron from your diet, you may want to talk to your doctor about taking iron supplements. Women aged 19 to 50 are recommended to intake 18 mg/day of iron, as a combination of iron you get from food as well as supplements. If you’re pregnant, your iron intake should be even higher – as much as 27 mg/day – but when you’re breastfeeding recommendations drop to 9 mg/day for women 19 year or older. If you’re a vegetarian, you may need to take in even more iron. However, don’t overdo it. In high doses (over 45 mg/day for adults), iron can be toxic. As my dad would say, everything in moderation is the key to success. Have you had any issues with iron deficiency? How do you make sure you’re meeting your daily iron intake needs?